Welcome to Highview Youth Sports Mustang Football. We are sure you and your family will enjoy our program. Please read all the information below. If you have any questions please feel free to contact a league official. 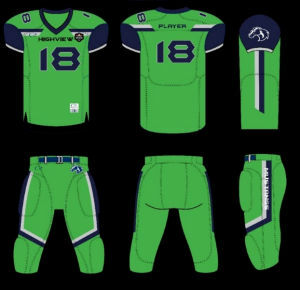 A great new and bright look for our uniforms for 2019. Check out the image below. Signup now, before Memorial Day, for only $60.00! External links are provided for reference purposes. Highview Youth Sports is not responsible for the content of external Internet sites. Copyright 2019 by Highview Youth Sports, Louisville, KY, USA.